 “关于我们，组织结构 [About Us, Organizational Structure],” China Great Wall Industry Corporation, http://cn.cgwic.com. Marcia S. Smith, “China’s Space Program: A Brief Overview Including Commercial Launches of U.S.-Built Satellites,” Congressional Research Service, 3 September 1998. “关于我们 [About Us],” China Great Wall Industry Corporation, http://cn.cgwic.com. U.S. Department of State, “Iran Nonproliferation Act of 2000,” 7 February 2008, www.state.gov. Shirley Kan, “China and Proliferation of Weapons of Mass Destruction and Missiles: Policy Issues [CRS RL31555],” Congressional Research Service, 25 April 2012. Warren Ferster, "China Great Wall Failure-Protection Offers Expanded," Space News, 14 February 2000, p. 10. 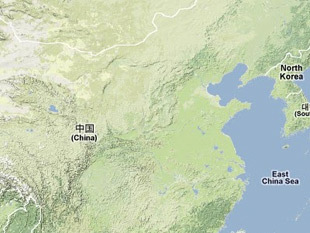 “2011年中国航天刷新发射记录 [China Set a New Launch Record in 2011],” China Great Wall Industry Corporation, 31 December 2011, http://cn.cgwic.com. “China and Belarus Signed the Communication Satellite Contract,” China Great Wall Industry Corporation, 31 December 2011, http://cn.cgwic.com; “CGWIC Signs Turkmenistan Satellite Launch Services Contract,” China Great Wall Industry Corporation, 31 December 2011, http://cn.cgwic.com.